On Sunday 18 November, 28 000 cycling enthusiasts will celebrate the 22nd edition of the iconic Telkom 947 Cycle Challenge. 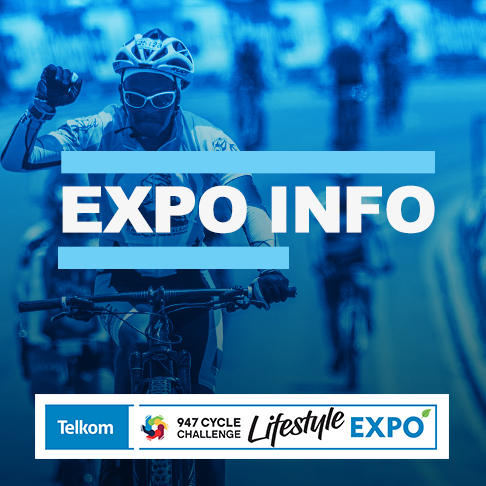 Embodied in the Cycle Challenge experience is the Telkom 947 Lifestyle EXPO – one of the most sought-after cycling and health-related exhibitions in the country. Cyclists, by the very nature of the sport they practice, are looking for marginal gains in their improvement in their equipment, diet, on bike nutrition, clothing and gadgets. This year, we aim to evolve the Lifestyle EXPO with an exciting new expansion (the Green Zone) focused on local sustainable, natural, and fair-trade products catering for a health-conscious vegetarian, paleo and ‘free-from’ clientele.